BERLIN (Bloomberg) -- Ford Motor Co. said vehicle sales in its primary European markets fell 11 percent in November from a year earlier as the overall market contracted and competitors maintained “heavy” discounts. Registrations in the 19-nation region declined to 100,500 cars, the U.S. carmaker’s European division said on Monday. 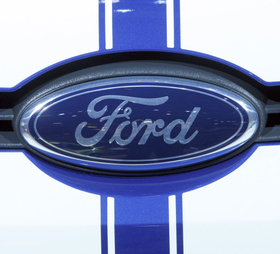 Ford’s share of the market, which it called “very weak overall,” slipped 0.5 percentage points from a year ago to 8.1 percent. Ford’s registrations in the first 11 months this year dropped 10 percent to 1.2 million vehicles with the carmaker’s market share declining 0.6 percentage points to 8.5 percent. Overall industry European sales fell for an eighth consecutive month, by 5.2 percent to 1.23 million units.